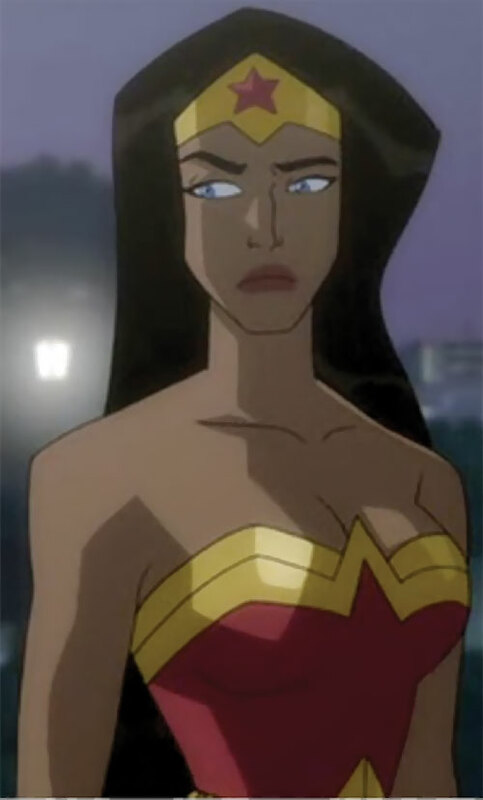 Wonder Woman was a 2009 animated movie, with Gail Simone co-scripting. It retells the story of Diana’s arrival in Patriarch’s World. The story closely follows the George Pérez version, though it uses some older and some more modern elements from the mythos. It was well-received, and had solid if not Earth-shaking sales. 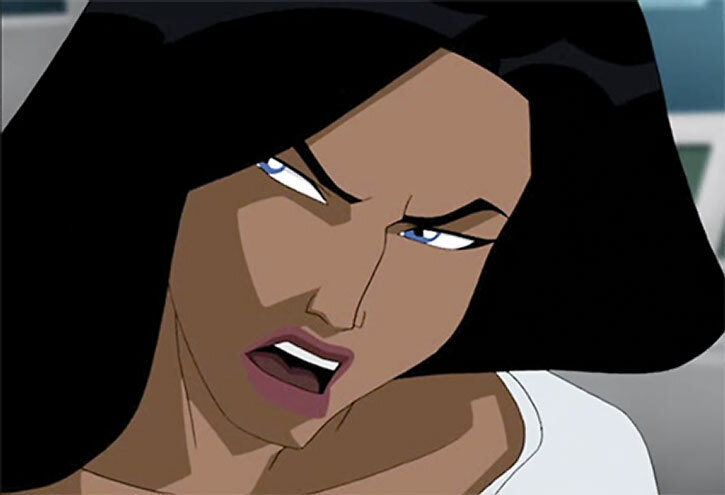 This profile includes minor S P O I L E R S.
Real Name: Diana of Themyscira. Base Of Operations: Themyscira (in the Aegean Sea). Height: 5’10” Weight: 130 lbs. Eyes: Very very blue Hair: Jet black. 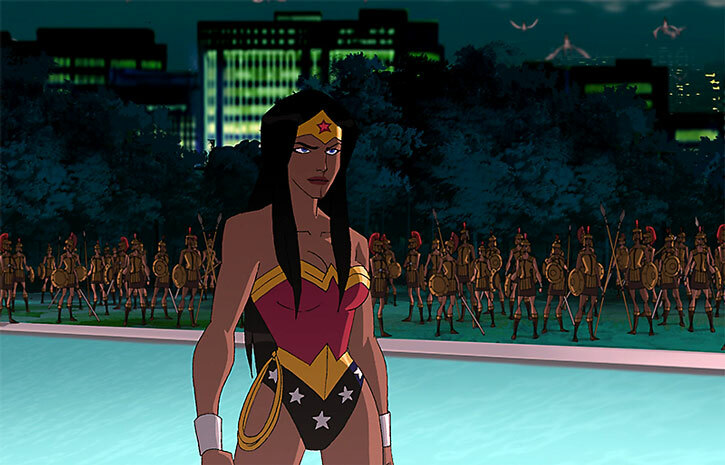 Diana is an exceptional warrior, trained in all the martial arts of the Amazons. 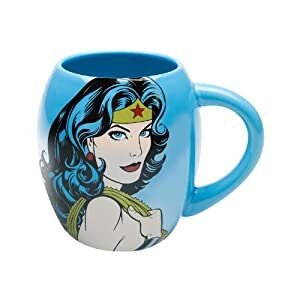 She also has superhuman strength, sufficient to lift a heavy desk with but the tip of her fingers or to throw a filled, big metal dumpster around. She can easily punch through a wall. While she does not fly, she can perform enormous jumps. Her fighting style is particularly eclectic – from boxing to acrobatic fighting, from pankration to kung fu. Bracers forged from shards of Zeus’ shield by Hephaestus and used to block attacks. 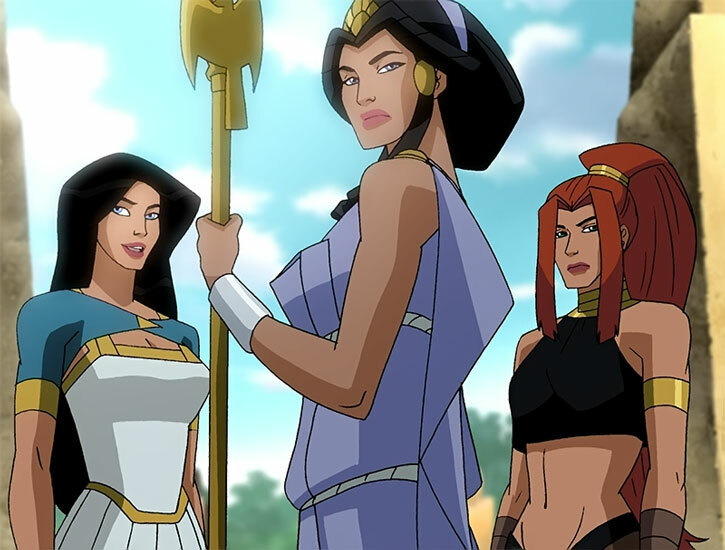 The lasso given by Hestia to the Amazons. 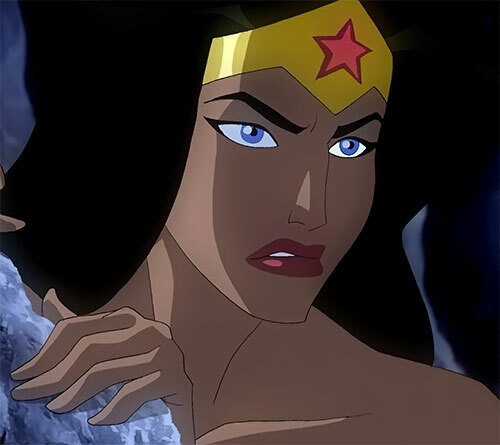 A razor-sharp tiara occasionally used as a throwing weapon. … And an invisible jet. This plane, of unclear origin, is a twin-seater powered by a single very large jet engine. It is fast enough to chase an ICBM. 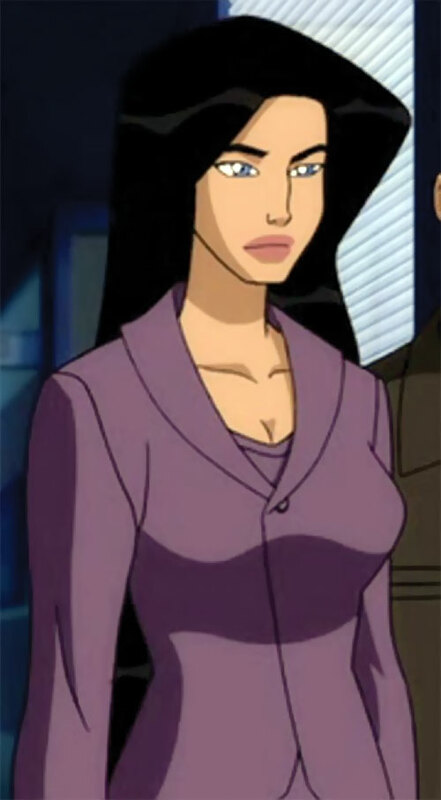 A seasoned jet fighter pilot from the World Of Man, such as Steve Trevor, could easily pilot it – the controls seem standard and the UI is in English. The invisible jet is armed with — what else ? — invisible missiles. The movie is a variant retelling of the classic post-Crisis origin story, which I assume is well-known to everybody here. Her body language is both graceful and martial, and she tends to sit and stand ramrod-straight. 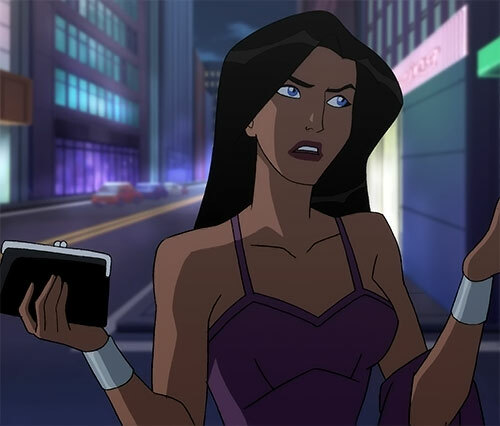 Diana is a nice, though a bit inexperienced, young woman. She dearly wanted to experience something more adventurous than Paradise Island. While she lived there she was the local equivalent of an extreme sports nut – exploring, riding, training with all sorts of weapons, etc.. She has a marked competitive streak. Obviously, she lacks exposure to the realities and social dynamics of the World Of Man, and in particular men/women relationships. She’s annoyed at the common definitions of the feminine in mainstream US culture and expects very little from men. Like other Amazons, she initially has little tolerance for vulgar language. However she eventually comes to blurt out some mild swearing under extreme stress. 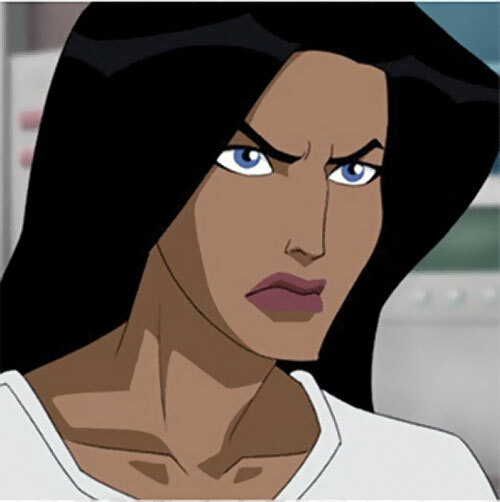 Diana long had the intuitive feel that she would be the one destined to reunite Themyscira with the outside world. This seems to be what Hera had intended for her. 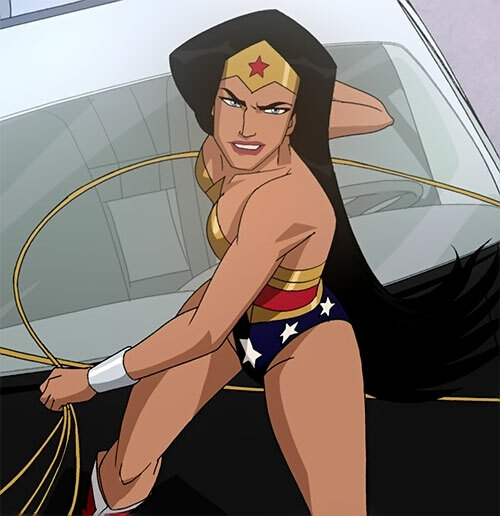 An elite Amazon, Diana is a powerful and disciplined fighter, and a killer if need be. Enchantment only to increase the BODY of items she uses to fight. 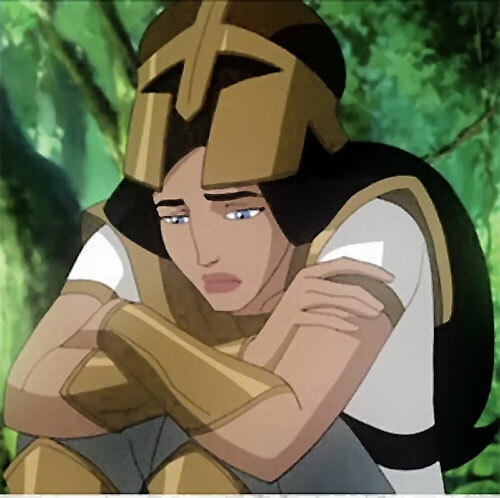 Area Knowledge (Themyscira), Conditional soaking (Unarmed attacks), Credentials (Amazons, High), Expertise (Classical Greek culture), Iron Nerves, Language (Ancient Greek), Lightning Reflexes, Near-Immortal, Rich Friend (Queen Hippolyta), Schtick (Precise Blocker (Bracers)). Attack vulnerability (blades/bullets, -4 CS RV), Innocent. AMAZON BRACERS [BODY 20, Note: not electrically or thermally conductive]. 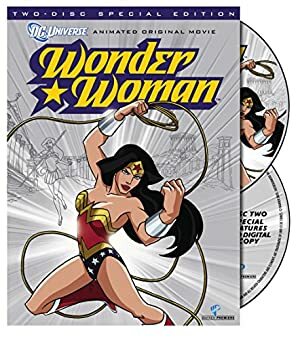 LASSO OF TRUTH [BODY 18, Extra limb: 00, Snare: 16, Stretching (No Fine Manipulation): 02, Control: 12, Notes: Control is its own AV, but can only be used to make a lassoed person tell the truth ; Snare has no AV and must use the appropriate Weaponry Subskill]. TIARA [BODY 16, EV 04 (12 w/STR), Gliding: 02, Limitation: Gliding only to extend thrown Range and/or bounce/arc back to the thrower. Can be used for either Killing or Bashing combat]. INVISIBLE JET [STR 08 BODY 10, Flight: 13, Invisibility (Fringe): 04, Note: The Flight is fully VTOL] w/Missiles[BODY 02, EV 12 (Area of effect 2 APs), AV 05, Flight: 15, Grenade drawback, Limitation : Flight can only be sustained for five Phases (-2)]. 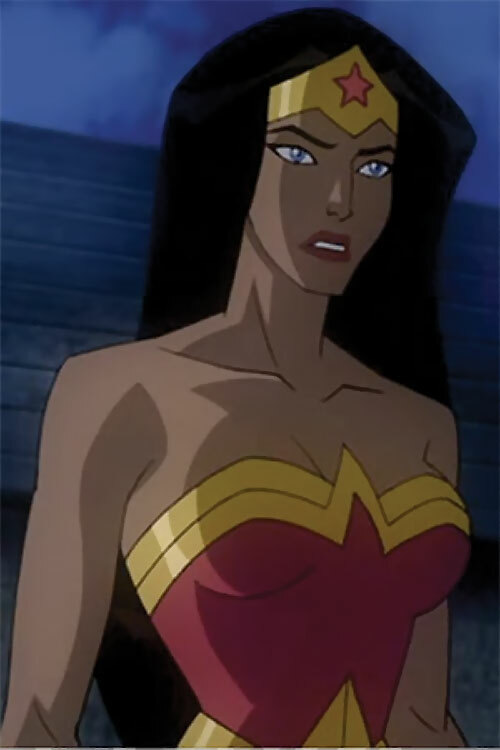 Diana is trained to use her bracers to parry projectiles. Most thrown weapons have an OV of 07, arrows of 08, crossbow bolts of 09, bullets of 10, high-powered bullets (EV 06+) and burst of normal bullets of 11, and most energy blasts of 12. A specific Genre Rule in the cartoon is that Knockback distances are prolonged by two APs. In other words, they are quadrupled (!). Also, Killing Combat is fully allowed. 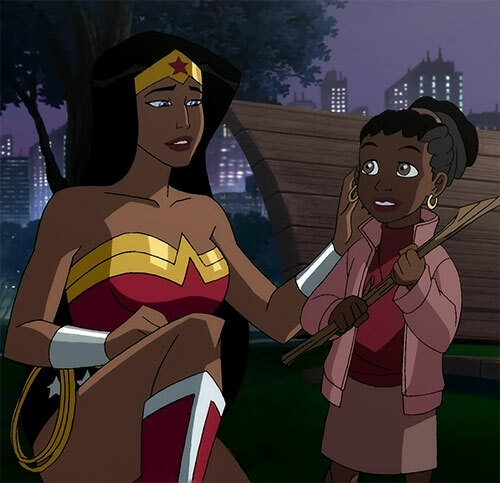 Source of Character: Wonder Woman animated movie (2009) (Diana voiced by Kerri Russell). 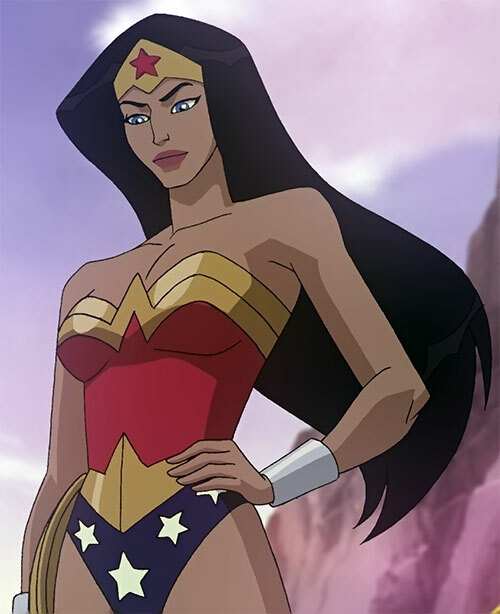 This version of Wonder Woman, as far as we can tell, happens in her own continuity.